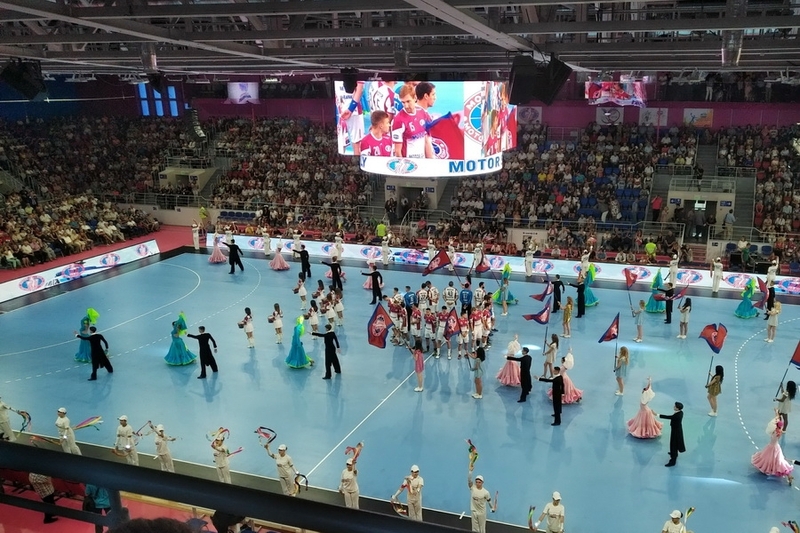 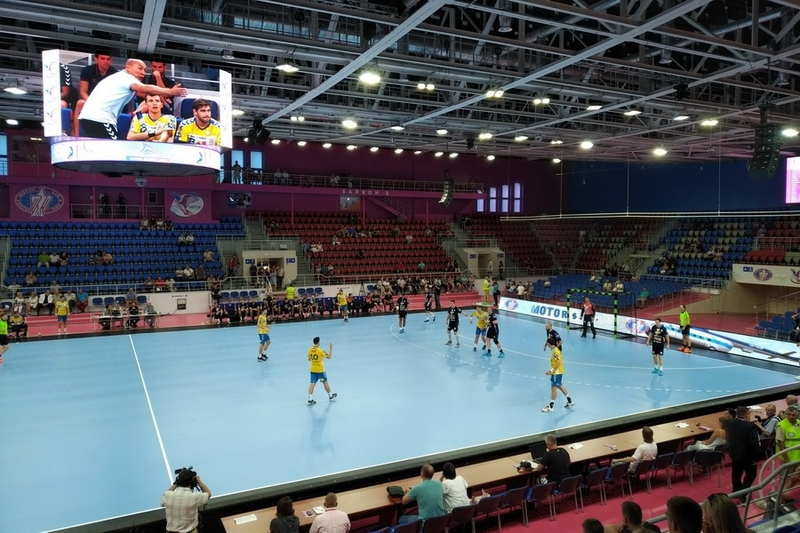 Yunost Sports Palace, a home venue of the famous Ukrainian handball club HC Motor Zaporozhye with five champion titles and presence in EHF, has undergone a massive renovation during the last year with a major contribution from Colosseo. 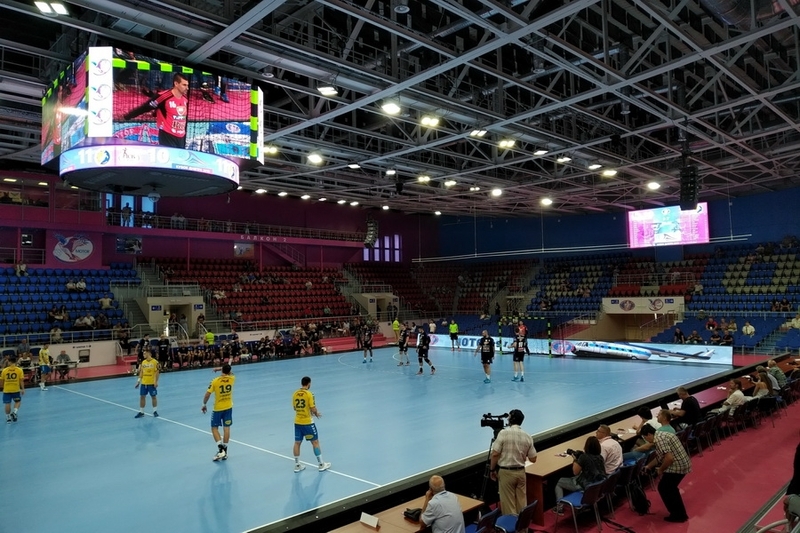 This multipurpose arena which hosts various indoor sports and events, has now become the most advanced venue in the Ukraine, thanks in part to an industry-leading turnkey solution from Colosseo. 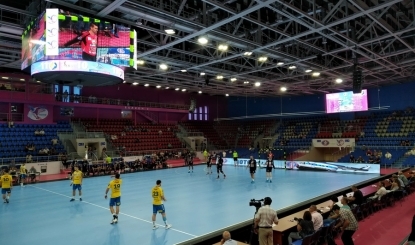 The Colossseo LED VISION center-hung video board with 6mm line spacing and zero gap technology has now become the dominant element of the arena, while two supplementary LED scoreboards with 8 mm line spacing, provide visitors primarily with real-time stats or other desirable digital content. 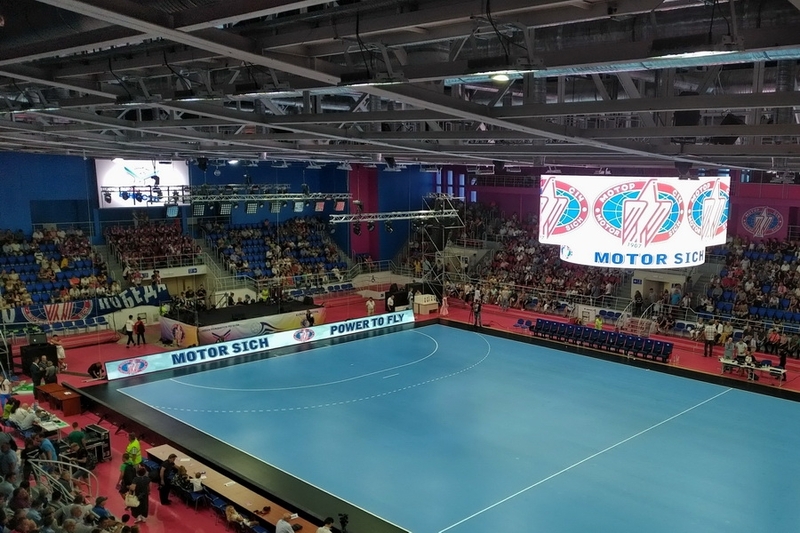 The LED display inventory is completed by full size LED perimeter boards featuring 10mm line spacing, which underlines the entirely new, picturesque look of the arena (see gallery). 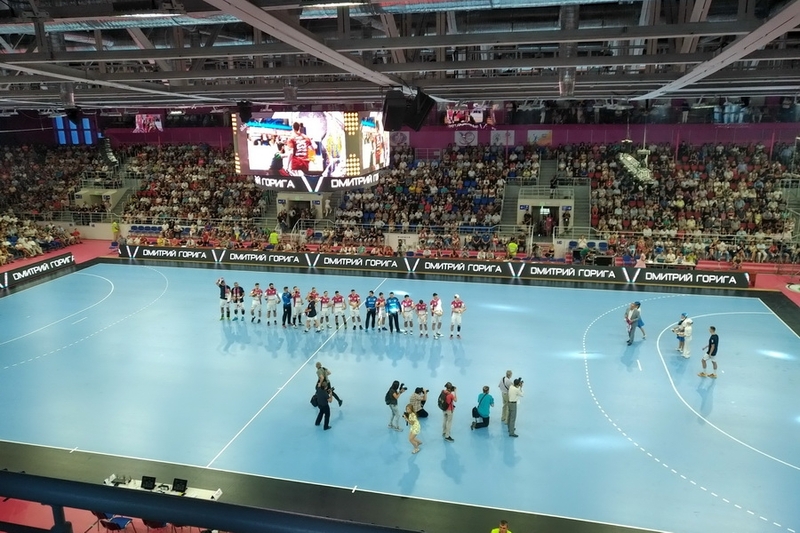 The Colosseo leading Single Media Platform (SMP) provides arena operators with unrivalled media & data integration while boosting the game day fan experience with unlimited game show presentation including instant replays from any camera angels, highlights playout, various interactive and entertaining animated content or the unique moment of exclusivity. 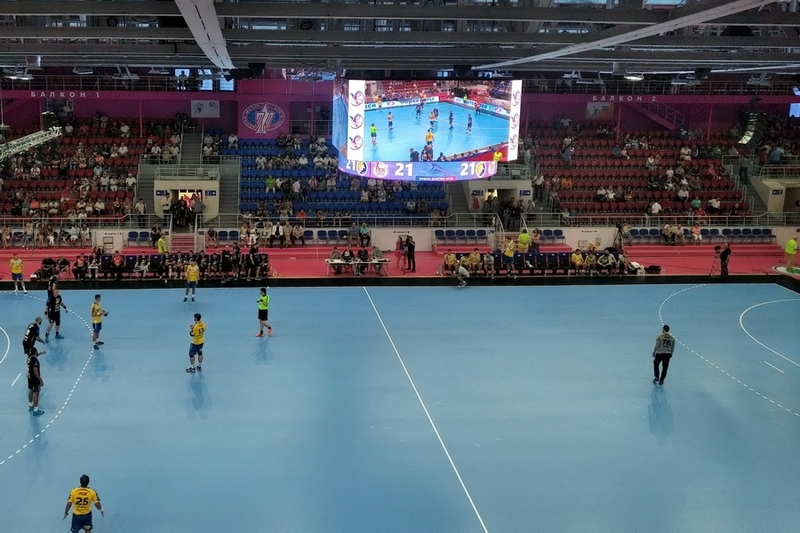 Colosseoâ€™s proven Interactive IPTV/Digital signage solution was also installed , providing digital content delivery & control via Colosseo SMP to all connected TV displays. 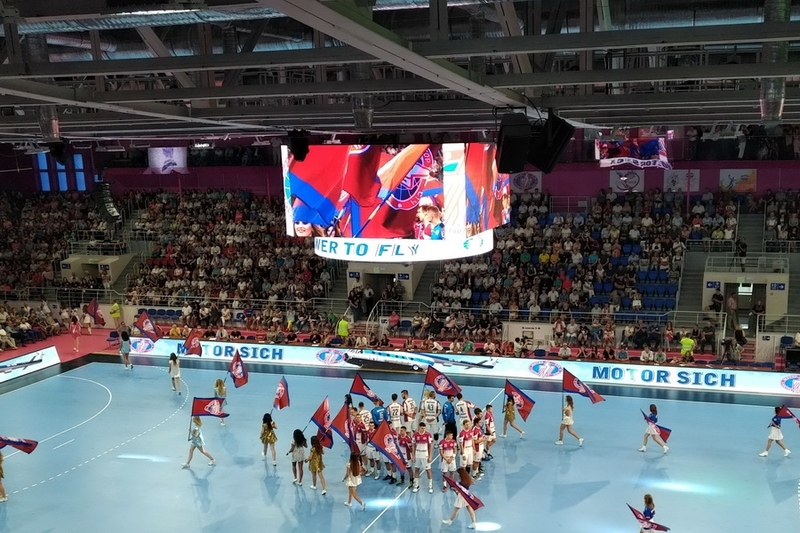 The Interactive IPTV menu also allows guests in sky lounges (VIP suites) to watch highlights, instant replays, real-time stats and other interesting information on request. 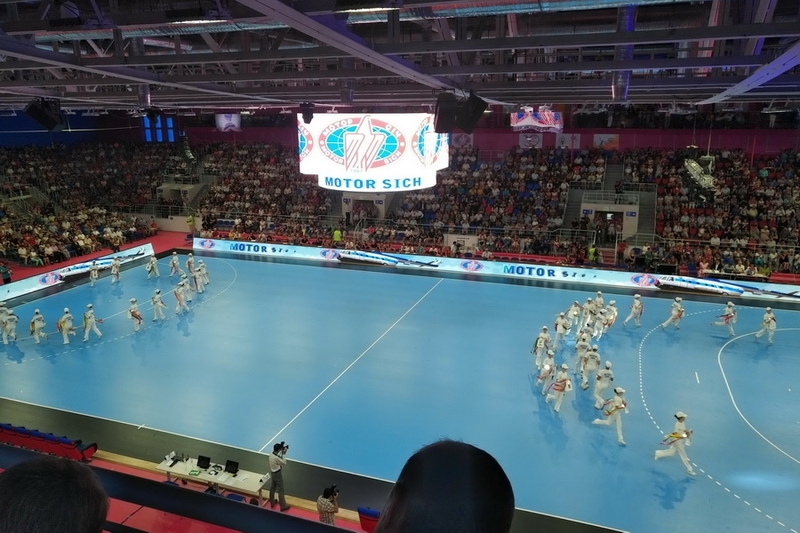 To complete the whole package, the arena also received sports equipment, Colosseo TIMER consoles providing multisport timekeeping, scoring and statistical solution for all played sports. 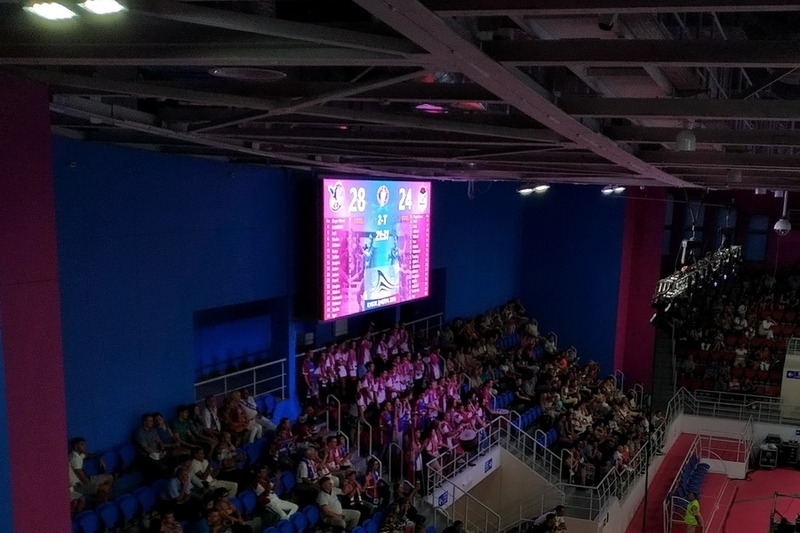 In addition, the full basketball accessories like FIBA certified Colosseo Shot Clocks, possession arrow indicator, Tri-Button and sports clocks with sirens were also supplied. 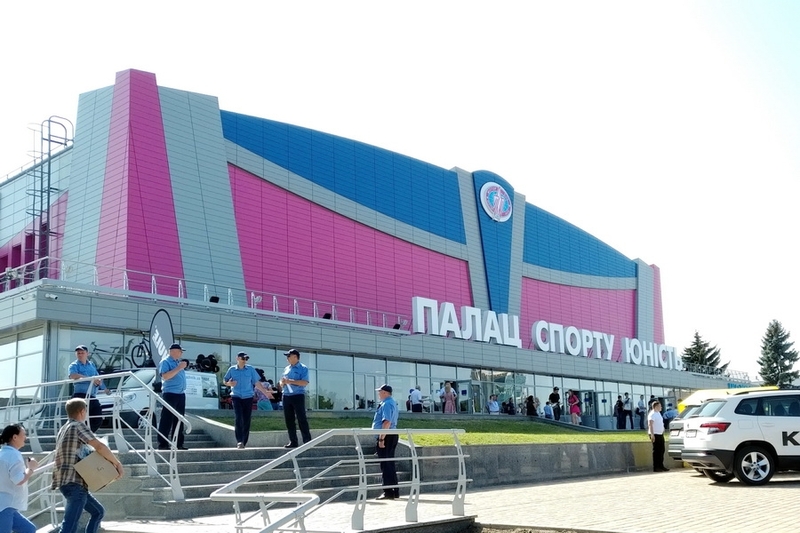 Colosseo is proud to equip yet another important sports venue in Ukraine this year, right after Altair Arena at the beginning of this year.